Spring Break is next week and I know I’m excited. How about you? If you are gearing up for spring cleaning, build in an incentive. A massage is a great way to reward yourself for getting your house in order! We have appointments open this week schedule on our website TriBarefootMassage.com. Also don’t forget to follow us on Facebook we post allot of good info there as well. We are always so grateful for support of small business and a great way to do that is to leave reviews for us on Google, Yelp & Facebook. Teachers spring breaks is a great time to fit in some selfceare! Keep in mind we not only have appointments available that week, we also can bill your insurance for your massages. 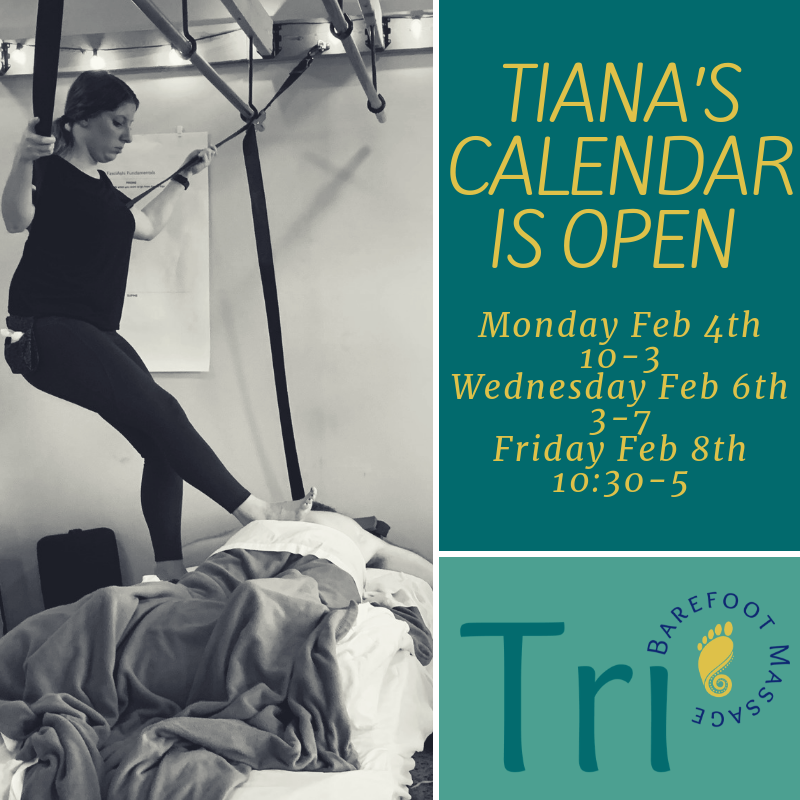 Give use a call 505-587-3668 or send us an email Info@tribarefootmassage.com to get the details on scheduling those appointments. March 12: Plant a Flower Day – To celebrate, here’s a how-to on planting flowers. https://www.wikihow.com/Plant-Flowers...it's a bit early yet for us here in AK but hopefully soon. Kristin is working on certifications in both ROM and Fundamentals. 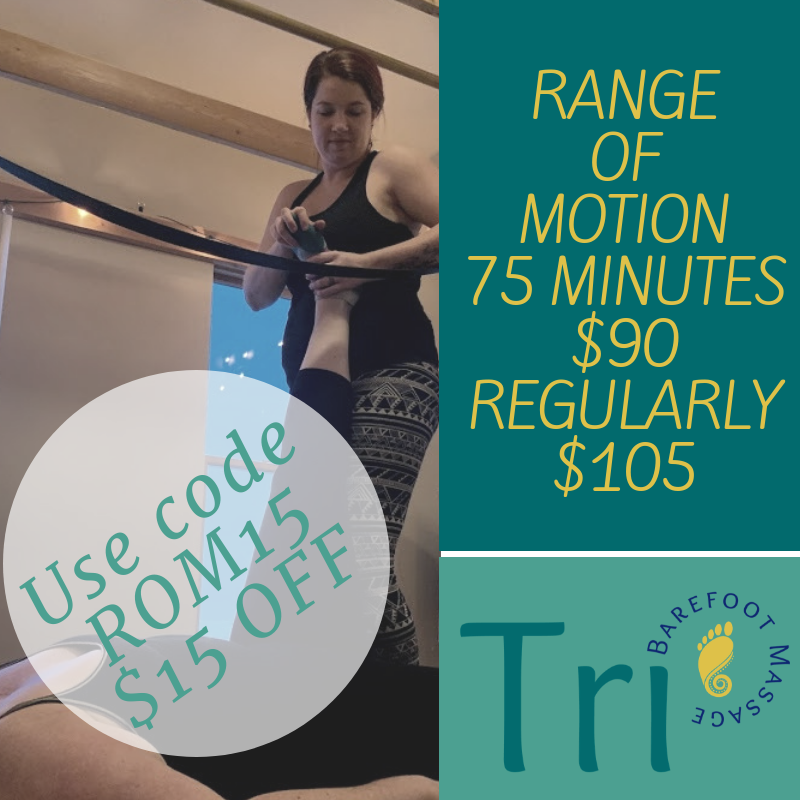 Take advantage of a awesome deal and get $15 off ROM sessions with Kristin. Use code ROM15 when you schedule your session. Don't forget to schedule those Saturday appointments for March as well next Saturday appointments will be march 16th. This week we have Kristin and Tiana in office Monday – Friday. There are appointments still available so go check out our schedule on our website TriBarefootMassage.com. Also don’t forget to follow us on Facebook we post allot of good info there as well. We are always so grateful for support of small business and a great way to do that is to leave reviews for us on Google, Yelp & Facebook. Teachers spring breaks right around the corner. Keep in mind we not only have appointments available that week, we also can bill your insurance for your massages. Give use a call 505-587-3668 or send us an email Info@tribarefootmassage.com to get the details on scheduling those appointments. March 5: Happy Mardi Gras! March 8: International Women's Day – A day to celebrate all the strong, wonderful women in our lives. · Send fun invitations. You can make your own, buy them or send out digital invites, but either way themed invitations set the mood. · Make it a costume party. Ask people to wear masks and dress up for the occasion. · Serve Mardi Gras themed food. Here is a link to some traditional Mardi Gras recipes. http://allrecipes.com/recipes/192/holidays-and-events/mardi-gras/. Share the link with friends and have a potluck. · Create a playlist. Put together a list of Cajun-style music to set the mood at your party. You can find a ton of free tunes online. · Decorate in Mardi Gras colors. There are three colors that are traditionally associated with Mardi Gras: purple, gold and green. Purple symbolizes justice, gold symbolizes power and green symbolizes faith. Decorate using these colors for a traditional feel. February ends this week HOLY COW! We have Saturday appointments available this coming month on March 2nd and 16th. Jump on those appointments because they will fill fast. -We are still offering $15 off ROM sessions to Kristin's first 20 clients (limit one coupon per client) who book a ROM session. Use Code ROM15 when you schedule your session. -Tiana is still working toward her first 20 clients. Use Code Tiana20 to get $20 off your session (limit one coupon per client). -We have had allot of success with our texting weekly updates. If you'd be interested in receiving weekly update text messages text Weekly Update to 505-587-3668, text message about specials text Special to 505-587-3668, and text messages about last minute openings we have in the schedule text Openings to 505-587-3668. February 26: National Pistachio Day - Celebrate today by eating Pistachios. They are great plain as a snack, in ice cream, and in a wide range of desserts. Fun fact, Pistachios and Pecans are Kristin's favorite nuts. February 27: Polar Bear Day – Fun fact. It is believed that all polar bears are left handed. The Alaska Zoo just recently introduced a new polar bear to the zoo. 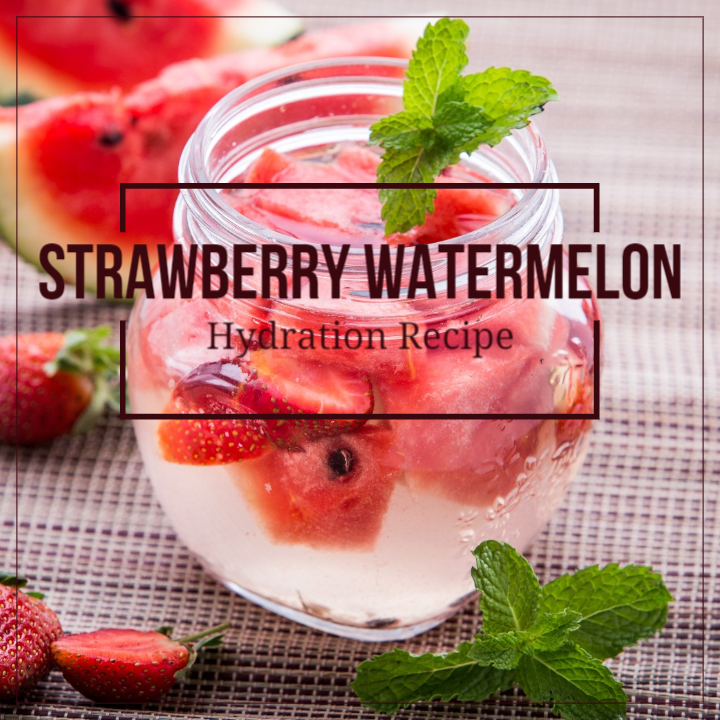 Combine water and kiwis in a pitcher. Stir gently, cover, and refrigerate until flavors combine, at least 1 hour. Tiana is still offering $20 off her massage. She's Very excited about her certification so take advantage! Only available for her first 20 clients! Use Coupon Code Tiana20 when you schedule your session. Kristin is also working on certifications in both ROM and Fundamentals. Take advantage of a screaming deal and get $15 off ROM sessions with Kristin. Use code ROM15 when you schedule your session. Don't forget to schedule those Saturday appointments for March. Don't forget to schedule those Saturday appointments for March. Kristin is back from Washington and ready to do some Range of Motion sessions! -We are offering $15 off ROM sessions to Kristin's first 20 clients (limit one coupon per client) who book a ROM session. Use Code ROM15 when you schedule your session. Special Offers: Tiana is still offering $20 off her massage. She's Very excited about her certification so take advantage! Only available for her first 20 clients! Use Coupon Code Tiana20 when you schedule your session. Kristin is also working on certifications in both ROM and Fundamentals. Take advantage of a screaming deal and get $15 off ROM sessions with Kristin. Use code ROM15 when you schedule your session. Kristin is out of town this week doing. She's visiting family in Washington AND you guessed it MORE TRAINING! Range of Motion Training, she's learning to stretch and move our clients to help increase their flexibility and Range of motion with her FEET! Valentine's Day is Wednesday if you have waited to the last minute thats ok because going online is a quick and easy when to take are of your special someone! Visit www.tribarefootmassage.com and click on the gift certificate button to purchase online quick and easy no driving no stress. · Make a day of it get outside and go skiing. · After all of your hard work take a break and relax with a massage. Special Offers: Tiana is still offering $20 off her massage. She's Very excited about her certification so take advantage! Only available for her first 20 clients! use Coupon Code Tiana20 at checkout. Next week is Valentine’s Day! We have digital gift certificates available to purchase online for that special someone OR YOU! 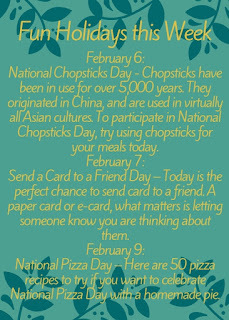 Purchase online on our website email them to your special someone or print them out the coupon codes and give with a special card or gift. We currently don't have space to offer side by side couples massages, however we can accommodate schedule wise to allow 2 massage scheduled one right after the other. Send us an email to make these arrangements at Info@tribarefootmassage.com. Tiana had just learned barefoot massage and is working toward her certification. We are offering $20 off her massage session to her first 20 clients. There are 14 spots left. Go online and book your massage with Tiana using coupon code TIANA20 now!